The past week has been one of the most interesting in recent memory. Trade journalists breathlessly scoop up the page views by calling Cyber Monday a "record" (click here). Go back to 2006. EVERY YEAR since has been a record! E-commerce cannibalizes the living daylights out of retail, and folks celebrate a record ... that is until you add retail and e-commerce together. Notice that nobody publishes that figure. Cyber Monday articles are #fakenews, applied to marketers. Or they're like cat videos. You get the picture. I received an email from an apparel brand this morning ... two days after Cyber Monday ... celebrating "Cyber Week" and "Overwhelming Response" that "Harmed Website Performance" ... their response? 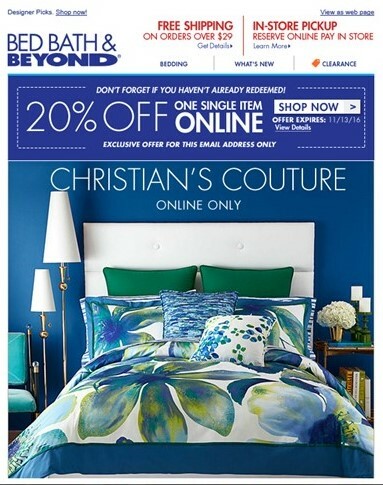 An additional 30% off the 60% promotion they ran on Cyber Monday. Isn't that lovely? 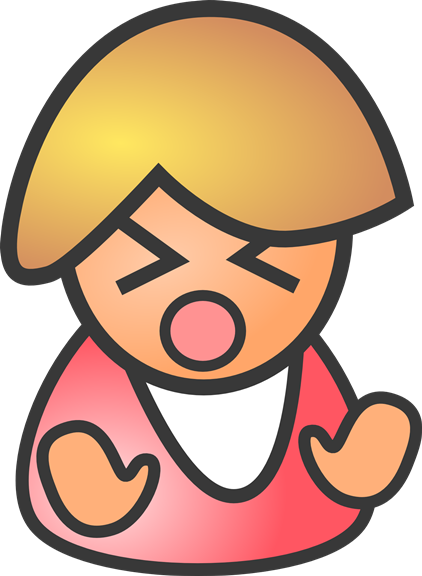 How would you like to be the idiot customer who suffered through sluggish website performance on Monday to earn 60% off, only to learn that she was a moron? How about the customer who purchased at 20% off in late September, only to see discounts go to 30% off in mid-October and then 40% off in early November and 50% off on Black Friday and 60% off on Cyber Monday? How does that customer feel? I read a quote that "the customer has been conditioned to only expect the deepest discounts and to not purchase until the deepest discounts are offered". Explain how a trade journalist partnering with the National Retail Federation helps members by breathlessly screaming at the public to expect 50% off plus free shipping in late November? It's good for page views. It's not good for profit for a retail brand. It is good for profit for the trade journalist. Readers, you understand how gross margin works, right? You buy an item from a vendor at $20 ... and you sell it for $50. You make $30 profit. At 20% off, you sell the item for $40. You make $20 profit. You need to sell 50% more units to equalize profit. At 30% off, you sell the item for $35. You make $15 profit. You need to sell 2x as many units to equalize profit. At 40% off, you sell the item for $30. You make $10 profit. You need to sell 3x as many units to equalize profit. At 50% off, you sell the item for $25. You make $5 profit. You need to sell 6x as many units to equalize profit. At 60% off, you sell the item for $20. You make $0 profit. Good luck! Your CFO understands the logic. Your CFO would never allow this to happen unless inventory levels were bloated and the brand had no choice but to give the merchandise away. You've analyzed how customers who purchase at 50% off or 60% off subsequently behave, right? You know that these customers, on equal sales, generate less gross margin dollars in the future ... right? There are so many moving parts this fall. I've analyzed many of them, many, many times. Customer Acquisition - Catalogs: You already know that the co-ops are dying. You already know you must have a credible replacement in place by the end of 2017, or big trouble is on the horizon. Customer Acquisition - Online: Online brands are hitting the customer acquisition wall. Google + Facebook leverage the supply-and-demand relationship to charge you more for less. You already know that you must have a credible replacement in place by the end of 2017, or big trouble is on the horizon. New Merchandise: I've been talking about this for years, and most of you agree that new merchandise is critical to future success. I continue to see that 80% of my projects yield a new merchandise challenge. Without enough new items, existing items have to pull more weight. Unfortunately, existing items decay. Again, you already know this, and you know that you must have a credible new merchandise program in place by the end of 2017, or big trouble is on the horizon. Lean Inventory: This fixes a lot of problems. Yes, you are going to sell out of stuff. Fast fashion folks sell out all the time. When you sell out, you don't need to be at 40% off, do you? Urgency: Lean inventory leads to urgency. Here's a fascinating quote from an article about Gap and their Data/Design challenge (click here) ... ready? "The company is simply too large in the new normal where physical distribution has become a liability." That's the most delicious quote of 2016. What does it mean? It means that the omnichannel thesis where some believed that "bricks 'n clicks" was "table stakes" was completely wrong. It means that stores are now a liability. And more importantly, it means that the omnichannel thesis led to a complete lack of urgency on behalf of a customer. Why act now when the item is available in any store or online at any time? Discounts/promotions became the only way to create urgency, and discounts/promotions destroy a company over time. You already know this, and you know that you must have a credible "urgency program" in place by the end of 2017, or big trouble is on the horizon. Trusting Younger Professionals: At a conference this past spring, I presented the idea of having a team of 30-39ish professionals be accountable for elements of the business. Let's just say that the 50-59ish employees at the conference did not like this idea. At all. One told me "you cannot trust kids to run the business". I am continually told stories of decision-making processes that require eight layers of signoffs and must clear an Executive or the idea is dead. Vendors have a term for what they want to see happen ... they call it "agility" or being "agile". Fast decisions. Decentralized decisions. Accountability. Risk. Reward. You already know that a bloated org structure is bad, and that you must push decision making and strategy to younger employees. You already know that this program must be in place by the end of 2017, or big trouble is on the horizon. Gross Margin: We already know that our objectives need to be centered on (at minimum) maximizing Gross Margin less Marketing Discounts/Promotions. You don't do this by offering 60% off plus free shipping. You already know this, and you know you must have a credible program in place to maximize gross margin dollars by the end of 2017, or big trouble is on the horizon. I could write about this for the next ten days and not even scratch the surface. You know what you need to do to fix your business. Almost all of you know what to do. So are you going to listen to trade journalists who tell you to scale back your "emoji strategy" (yes, this was an article from Shop.org this week - #fakenews) ... or are you going to focus on the topics outlined here? It's time to solve current business issues. Use 2017 as the rebuilding year that leads to a much improved 2018. Three or four times a week, I'll come across something suggesting that if you just have the right color structure on your website, conversion rates will "skyrocket". This has always been interesting to me - somebody had to #analyze and/or #test the issue in order to demand color adherence, right? And yet, countless companies listen to the advice and follow the advice and nothing happens to sales/conversion over time. This is one of the magical aspects of e-commerce ... you can test your way into greatly improved conversion rates and yet sales don't budget. In a recent project, I evaluated the "best" customers in the twelve-month buyer file ... the top 10% of the twelve-month buyer file, measuring website behavior in the next thirty days. Probability of Visiting the Website 1+ Time in the Next Month = 62%. Monthly Visits if Customer Visits Next Month = 6.3. Probability of Customer Purchasing 1+ Time in the Next Month = 50%. Amount Spent if Customer Purchases Next Month = $140. You've got eight customers - three of them don't even bother to visit the website next month. But five do visit the website, and if they visit, they visit every five days. Best not to bore these customers to death, #amirite? Here's where things get interesting. When conversion rate optimization gurus apply their #datascience to conversion, they aren't measuring monthly repurchase rates, are they? No. They demand that the customer visiting the website every five days must BUY SOMETHING EVERY FIVE DAYS. Which doesn't happen, but whatever. So when we optimize the website via the right color structure or whatever tactic we elect to use, we obviously improve conversion rate. But if we don't increase sales, then what exactly is happening? This is what is happening. Monthly Visits if Customer Visits Next Month = 5.0. In other words, we reduce the number of visits to the website. By reducing the number of visits, we increase conversion rate without increasing monthly repurchase rates. The net result is no increase in sales but an increase in conversion rate. See - we're optimizing the wrong thing. 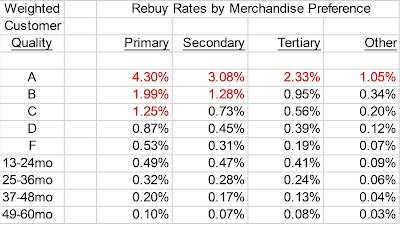 We do not optimize monthly repurchase rate. Sales don't increase as a result. On a monthly/annual basis, it is very difficult to increase customer spend without significant improvements in merchandise productivity. On a visit-by-visit basis, it is easy to increase conversion rate. But by removing "friction", we optimize for the wrong metric, and do not yield true business gains. We have a bunch of "digital" brands who grew until customer acquisition dried up ... and then ... well ... that's when the really hard work begins. Catalogers ... the majority of digital brands I get to speak with do not understand the customer loyalty / customer acquisition dynamic. At all. Modern conversion rate measurement makes it impossible to understand the dynamic. You have an opportunity, albeit brief, to capitalize on customer acquisition dynamics before digital folks figure things out. A couple of years, tops. Take advantage of your opportunity. And hint - your opportunity does not include co-ops. I am going to share this with you again ... because my metrics show that this cruised right over your heads while pointless vapid content is fully absorbed. 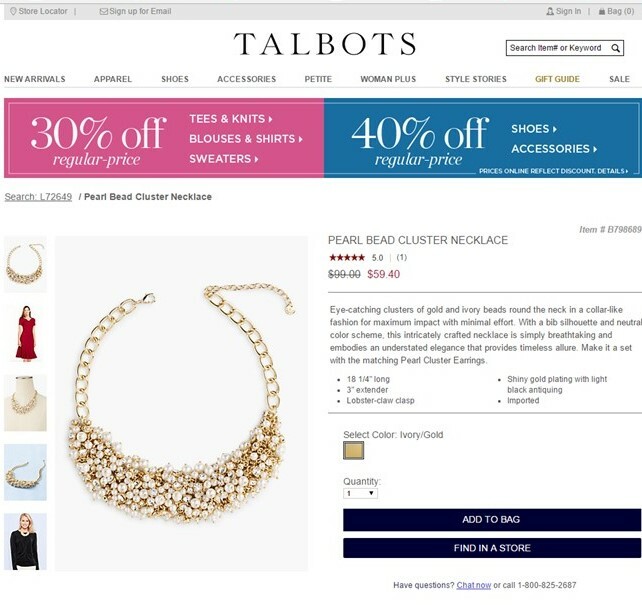 Look at the copy associated with this item from Talbots. Now look at the copy associated with Chubbies. Many catalog-centric brands write copy that describes the item. Many online brands write copy that describes the customer. I don't have data to prove that one method is better than another method. I do have data to demonstrate that catalog growth isn't happening, but online brands are growing. As part of your 2017 rebuilding process, please carefully evaluate your copy. Strongly consider bringing your copy to life - describing the customer instead of describing the item. Here's something that could help you. Outside of your twelve-month buyer file, you have a huge glut of lapsed buyers. And you tend to mail them on a campaign-by-campaign basis. Sometimes, you'll overlay co-op data, but that doesn't really push the peanut, does it? Some vendors will recommend that you send postcards or other small formats instead of catalogs - that can be a reasonable solution too. If you live in Silicon Valley, your response is "you still mail catalogs, what is this, 1995?" Let's pretend that you only mail lapsed buyers that achieve 10% variable profit. Or you lose money on reactivated buyers because you think you'll make it up with lifetime value. Now, you've got everybody else left - and you cannot afford to mail them. There are two sets of triggers you can employ ... in-house and overlay. In-house triggers relate to activity on your website. If the customer visits your website and meets modeled criteria (i.e. some visits indicate catalog responsiveness, some don't, email clicks usually recommend a suppression and not a hotline catalog), send the customer a hotline catalog right now. Overlay triggers relate to your co-ops. Ask your favorite co-op to open the pipes and send you a score that updates every day. 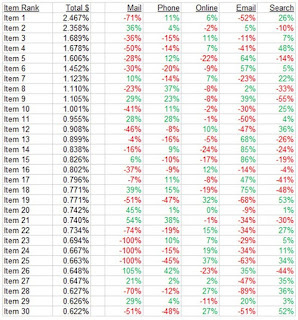 As activity within the co-op changes (some positive, some negative), you'll eventually find a circumstance where your customer score (executed in-house) combines favorably with co-op score changes ... and guess what? You kick out a hotline catalog! By moving your cutoffs up to 10% variable profit and by leveraging in-house and overlay triggers, you only mail catalogs to lapsed buyers that "qualify" based on reasonable and profitable behavior. Your favorite co-op makes more cheddar as well, because they are now embedded within your housefile modeling process, fulfilling a goal the co-op sales rep has had for years. Catalog marketing is moving to a trigger-centric discipline. It has to - there's too much waste involved. If you love mailing catalogs, why not generate more profit in the process? How about adding a little bit of Grilled Pork Knuckle to your Thanksgiving Bounty? Those of you who agree with my thesis about having a unique Point of View might want to read this one ... Patagonia to donate all sales from Black Friday to charities in line with the Patagonia brand (click here). Here's another retailer point of view for Black Friday (click here). As we rebuild our businesses in 2017 - preparing for a great 2018, we need to consider what our Unique Point of View is, right? Above, I listed two examples of companies exhibiting a Unique Point of View. You may not agree with either point of view, and that's fine. But you probably agree that you need a Unique Point of View, right? So, what is your Unique Point of View? Can you articulate it, and can you demonstrate how every employee you have hired exudes the Unique Point of View? 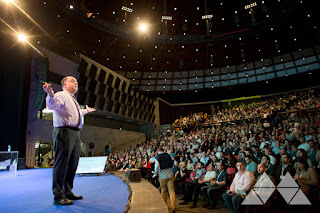 That's me - imploring the audience to generate scarcity in their marketing/merchandising efforts ... during a talk at the Marketing Festival in Ostrava (click here). Look at the audience ... 1,500 seats, sold out in eight minutes. A limited inventory of seats to an event with a good reputation yields a quick sellout ... you can't sit and wait, you have to ACT, and ACT NOW! The story of Christmas 2016 is bloated inventory levels. Some would say that's a function of a bad sales environment or The Election or they'd blame it on Amazon. But this has been happening for close to a decade now. Our omnichannel / multi-channel strategy promised the customer that we'd have endless inventory in any channel or store. Endless inventory levels discourage urgency. Why order now? We promised the customer that the widget would be available in any channel at any time. In 2017, we're going to focus on offering a limited merchandise assortment. Sure, core items can be available 24/7/365 - but "long-tail" items and new items need to be limited. Once we train the customer that these items won't be available for long, the customer will act like the audience at the Marketing Festival in Ostrava. Limited inventory levels are a key part of a rebuilding project. Politics can be an extension of who we are. If politics are nasty and "the country is divided", maybe it is because some people feel nasty and divided. There are so many parallels between politics and marketing. +/- 45% of primary voters supported Sanders & Trump. Each represent "new merchandise". Sometimes our customers get tired of the same "winners" (i.e. Bush family or Clinton family) and demand something new. The same thing happens in your business. Make sure you have a steady pipeline of new merchandise. Trump controlled his message via Twitter. You may like or dislike what he said, but he was the one saying it. Clinton depended upon advertising. Advertising enriches those who control advertising. In Marketing, you can have a strong point of view, or you can depend upon 3rd parties (Google, Facebook, Retargeters). Have a strong point of view. Discounts and Promotions are taxes placed upon brands for being unremarkable. This past week we heard a lot about fake political news being more "engaging" than real political news. Well isn't that special? And then we learned that Facebook overstated organic reach ... a company that knows AI and algorithms and is worth $341,000,000,000 makes money by selling ads against fake news and then uses fake metrics to demonstrate effectiveness. Fake news and fake metrics dominates modern marketing. Dominates it. "Five Tips For Perfect Pay-Per-Click Copy, Number Three Is A Real Stunner". "How To Harness The Power Of Bots". That's fake marketing news. It's everywhere. In fact, it is almost all that you read. But the content is #engaging, and that's what we are supposed to optimize for. Speaking of fake metrics, #engagement is surely at the top of the list. A few months ago, I asked Twitter followers if they'd prefer a customer spending $100 today or a customer who engages with our content and spends $0. 52% chose the latter. Kinda tells you everything you need to know about fake news and fake metrics. Much was made of voters in rural counties & industrial counties voting for Trump. Catalogers - analyze zip code sales per population sometime, especially among phone buyers. You will see the same dynamics that we saw in the election with Trump voters. Catalogs matter in rural counties where one is lucky to have 12mbps DSL internet access (I have 3mbps at my home ... let that one sink in for a moment ... it takes as long to load an episode of Stranger Things as it takes to watch the episode). But if you live in an urban environment in Seattle or San Francisco or NYC or Atlanta, catalogs are unfathomable in the same way that to some of those residents it is unfathomable that somebody would vote for the opposition candidate. Each Presidential candidate had serious flaws. Fans of either candidate were completely willing to overlook the flaws of their candidate in an effort to demonize the flaws in the other candidate. Marketing is the same way. Want to have some fun? Point out the flaws in the discipline a marketer loves to practice. It won't be pretty. We all overlook the weaknesses in our chosen discipline but are more critical of the flaws of another discipline. "We're a divided country", or so the media tells us. Team Red or Team Blue. When the wall came down in 1989, we stopped fighting Communism and started fighting ourselves. Thanks cable news for that lovely gift!! In marketing, we've picked sides. Marketers tend to spend more time with vendors than with co-workers ... "we speak the same language" is what one marketing employee told me. Alright. Pricing - we're in the process of picking sides. No more middle ground. We either sell expensive stuff at hefty gross margins or cheap stuff at 30% off with free shipping and virtually no gross margin. The two approaches require completely different marketing strategies, and require completely different profit generation strategies. But make no mistake, we have to pick one or the other ... the middle ground is disappearing. And the choice of pricing strategy actually means we are picking a customer ... poor customers or rich customers. There aren't enough middle-income customers left to fuel a business plan from 1995. So pick a side. Clinton was going to win. Just ask the analytics folks, the pollsters. A group at Princeton University had her with a 99% chance of winning. How arrogant is that? Almost every poll gave Clinton a multi-point advantage. The metrics and the experts who interpreted the metrics were just plain wrong. But they still hold the megaphone, and they are still telling us why they are right. Can I tell you a story? Last May, my wife and I drove across Montana on US-2. These are "red counties" that you drive through. Poor. Abandoned buildings, abandoned industry. There were two industries that survived & thrived ... drive-in diners and health care ... sprawling new clinics and hospitals everywhere you looked. All you had to do was drive 650 miles on US-2 across Montana to realize that the election was much closer to 50/50 than 99/1. Many Trump signs on lawns. Few Clinton signs on lawns. But you can't observe the dynamic by sitting in front of a computer crunching poll results. You have to get out there and see it for yourself. Similarly, the experts in our world are just plain wrong. They sit in front of a keyboard and tell us that we have to be "omnichannel or die". You are supposed to spend tens of millions of dollars revamping your supply chain and operational distribution system so that a customer can order a widget online and then for some bizarre reason drive 20 minutes to a store to pick it up and then the item isn't available at that store so the systems find the item at another store so the customer visits that store and then mysteriously asks to have the widget shipped to her home from the store #omnichannel. And Macy's goes and does everything that the pundits tell Macy's to do and the advice is absolutely horrific and Macy's collapses and the experts blame Macy's ... it's their fault! The experts were just plain wrong on Omnichannel Strategy. The experts are just plain wrong about Social Media saving your business. The experts are just plain wrong about saving your business by #Digitizing your business. The experts need to spend time visiting actual stores to see how feckless their strategies are in the face of actual retail issues. Instead of analyzing digital data in front of a keyboard, experts need to spend considerable time in stores ... not unlike the time a pollster should have spent driving US-2 across Montana to truly understand the challenges voters face. The media covers stuff that is largely irrelevant ... "Can You Believe What Trump Said/Did?" ... "Can You Believe Clinton's Email Server Challenges?" How does either issue help the person living along US-2 in Montana or help the person who cannot afford to rent an apartment in San Francisco? Nightly news programs on major TV networks spent a total of 32 minutes talking about actual policies during this Election cycle. 32 minutes. Total! In other words ... news organizations chose to chase short-term #engagement (which sells soap which profits news organizations) and chose to ignore actual issues that actually help actual viewers. Such is the case with modern marketing. No, you will not save your business by having a "Holiday 2016 Bot Strategy" or by "Using Neuroscience To Make Sure The Color Orange Is Used In The Conversion Funnel". These are the wrong issues, and you are overexposed to them because vendors and trade journalists and research brands sell soap when they talk about them. I'm not taking one political side or the other. I am asking you to open your eyes. Pay attention to what is going on around you. Get away from the keyboard, and spend real time interacting with real people - preferably your real customers or #gasp hourly employees in your call center or distribution center or retail store. Have empathy for employees and customers who have different views than you have. And in 2017 we're going to have to pick a side. That's where the world is headed. We're going to have to pick affluent customers or everybody else (which then dictates pricing strategy and promotional strategy and customer acquisition strategy and merchandising strategy). We're going to have to choose Baby Boomers or Millenials (Gen-X doesn't count ... I should know ... I'm in Gen-X). We're going to have to be inclusive or exclusive. We're going to be factual with or lie to our customers (please choose the former). 2017 is going to be such a fun year! We're going to rebuild our businesses, setting ourselves up for success in 2018. In the vast majority of my project work, four themes emerge in the mid-November to mid-December timeframe. The most loyal customers tend to shop online in the three days before Thanksgiving. Cyber Monday buyers are not any more/less loyal than other customers who purchase on surrounding days (this is a good thing). 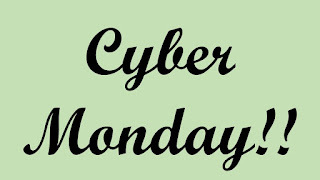 Cyber Monday orders tend to be obtained at larger discounts and therefore, generate less profit. 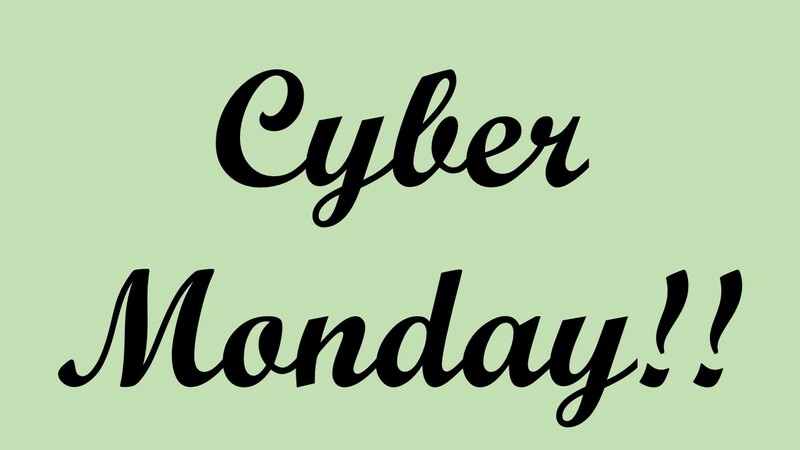 There is evidence that customers are being trained to delay purchases until Cyber Monday, and as a result, larger Cyber Monday discounts yield less profit for companies employing them. Your mileage will vary, of course. But you measure the four themes above, right? 18 1/4" long. Ivory/Gold. L72649 $99. Upon visiting the website, here's what we get to see when we look for L72649 at $99. There are four things worth pointing out. The item is $59.40 online ... $99.00 in catalog. So the item probably isn't selling well. The "Point of View" Talbots wishes to communicate is 30% off or 40% off. The copy for this item is different online than in catalog. The copy describes the item. I have a lot of e-commerce clients. There is a big difference between e-commerce brands and traditional catalogers, when it comes to copy. Catalog copy is designed to describe the item. E-commerce copy is designed to describe the customer. This slide is from my Customer Acquisition presentation in 2015. Look at the copy. "There he is. Overseeing the state of affairs at all celebrations of this sweet sweet nation. Krumping somewhere between heaping piles of charcoal and the cooing of bald eagles is where you will find this dude." Catalog Copy = L. Bead Cluster Necklace. 18 1/4" long. Ivory/Gold. L72649 $99. Online Copy = "Eye-catching clusters of gold and ivory beads round the neck in a collar-like fashion for maximum impact with minimal effort. With a bib silhouette and neutral color scheme, this intricately crafted necklace is simply breathtaking and embodies an understated elegance that provides timeless allure. Make it a set with the matching Pearl Cluster Earrings"
The cataloger describes the item. The e-commerce brand describes the customer. Low cost customer acquisition programs typically describe the customer ... that's how they attract the customer. The merchant and the creative professional work together to describe how the merchandise fits into the life of the customer. A clearly articulated point of view is so important. Here, we can see the difference in point of view. Talbots has a point of view, make no mistake about it. Can you see how the point of view differs from Chubbies? Both points of view can work. One requires more paid advertising (catalogs, paid search) to fuel conversion. One fosters more word of mouth (which is risky). Now give your copy some thought. What point of view does your copy communicate to the customer? P.S. : Here's something for you to consider ... Instagram followers. To me, Instagram is the exhaust produced by great imagery and great copy. Followers aren't the end game ... they are the metric that tells you something about how much customers love creative / imagery / copy. Talbots (click here) = 21,800 followers. Chubbies (click here) = 302,000 followers. Which brand is more well-known? Which brand has vibrant creative / imagery / copy that creates word of mouth that results in low-cost customer acquisition? Here's what I frequently observe. Please tell me that you measure this stuff as well ... because if you don't, well, hmmmm. Full-Price Only Customer In 2015, Spending $200 - $249 In 2015. 2016 Full Price Demand = $140 @ 65% Gross Margin. 2016 Discount/Promo Demand = $60 @ 50% Gross Margin. 2016 Total Story = $200 Demand, $121 Gross Margin. Discount/Promo Customer In 2015, Spending $200 - $249 In 2015. 2016 Full Price Demand = $50 @ 65% Gross Margin. 2016 Discount/Promo Demand = $170 @ 50% Gross Margin. 2016 Total Story = $220 Demand, $117.50 Gross Margin. The discount/promo-centric customer spend 10% more demand but generates 3% less gross margin dollars. Now, I get it, you might be comfortable with the margin of error here. 2016 Full Price Demand = $140 @ 50% Gross Margin. 2016 Discount/Promo Demand = $60 @ 30% Gross Margin. 2016 Total Story = $200 Demand, $88 Gross Margin. 2016 Full Price Demand = $50 @ 50% Gross Margin. 2016 Discount Demand = $170 @ 30% Gross Margin. 2016 Total Story = $220 Demand, $76 Gross Margin. 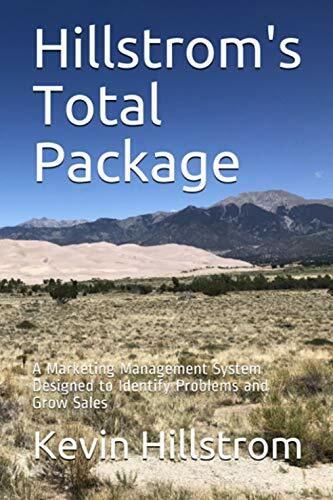 Discount/promotional success is dependent upon existing full-priced gross margins, and is dependent upon the share of demand that comes in via full price. Every dollar of gross margin becomes a dollar that you can invest in other activities - the funds pay for your bonus - heck, for just about everything! Gross Margin maximization is a direct outcome of a well-managed business. One could make a case that some businesses cut back on quality, allowing fat gross margins that can absorb 40% off plus free shipping. This is a business model many employ. You'll seldom see these businesses posting 10% pre-tax profit, of course, but it is a business model that can generate success. In a perfect world, we prefer to sell stuff customers crave at full price. What is the Unique Voice / Point of View being communicated to the myriad of mall walkers and potential shoppers passing this store? A love of discounting signage. There are at least ten signs covering the windows, assuming customers want to look inside the windows at .... wait for it ... wait for it ... the merchandise!! The forgotten part of the equation in 2016. Our industry has been wounded by a lot of bad advice over the years - particularly advice coming from folks who don't work at our companies but instead provide ancillary products and services. 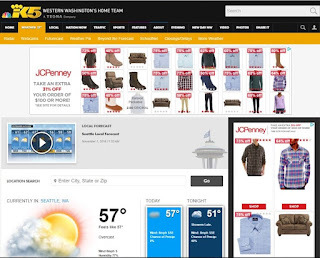 A key area of damage surrounds an "omnichannel merchandise assortment" supported by "same look and feel across channels". You're told you "have" to do this or your business is "dead". Your business is most certainly not "dead" if you don't follow the advice of somebody who doesn't actually work in your industry. And you most certainly don't have to have the same omnichannel merchandise assortment with the same look and feel across all channels. Because each channel, even when everything is the "same", possesses different customers with different merchandising preferences. The table above is actual data for an actual client. I ranked the top 30 best selling items in the past year. Then I indexed sales in each channel ... a -20% means that the item sold in that channel 20% worse than the company average ... a +20% means that the item sold in that channel 20% better than the company average. Look down the five channel-based columns, and it quickly becomes obvious that different stuff sells in different channels. So what is better for your business? 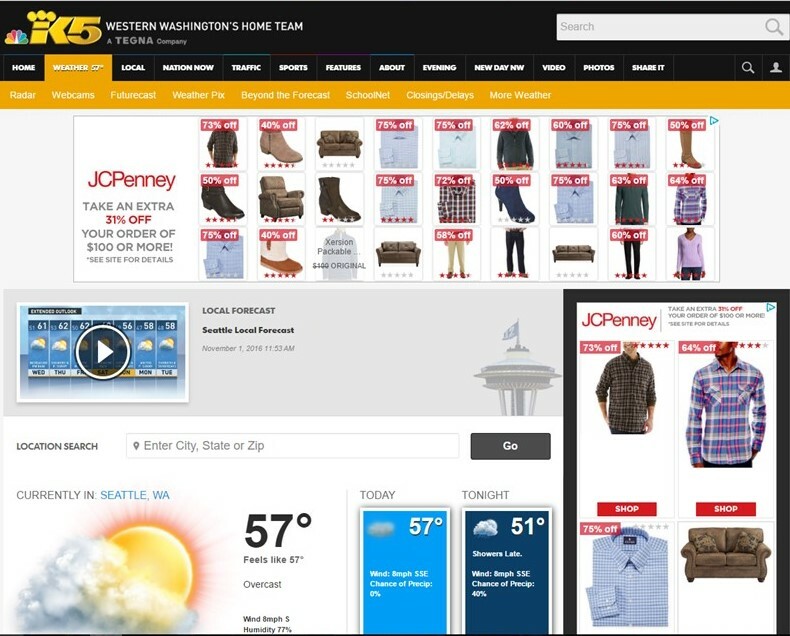 Same look and feel and same merchandise in all channels, sub-optimizing each channel? Same assortment, featured differently by channel so that each channel can achieve sales gains? We all know the answer is same assortment featured differently by channel. But that's not the way we execute. Catalogers struggle with this concept all the time - the catalog and the website must be "fully integrated". No! Use a comparable merchandise assortment, sure, but the catalog features items that rural older Americans like ... while the website features items that younger suburban Americans like. How hard is that to execute? Then merchandise your catalogs and website appropriately. P.S. : In e-commerce, the same rules apply between your desktop/laptop experience, search, email, and mobile/social. Same concept. This is how digital strategy destroys pricing integrity. Think about it this way. 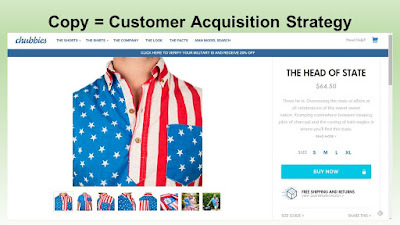 The retargeting strategy "works" because 7 in 10,000 purchase instead of 6 in 10,000. Meanwhile, 10,000 customers are offered the perception that there is a dumpster fire going on at JCP. P.S. : Did you see this delicious little tidbit from Nordstrom (click here)? They are writing down Trunk Club. Wonderful! Another digital endeavor that did not meet expectations. Maybe we need to apply a critical eye toward digital strategy? P.P.S: Instead of JCP having a dumpster fire because of bloated inventory levels - why not do something like this to create some urgency? Closely examine the image below. Notice - the item is sold at full price ($30.99) and is only available for another week. There are all sorts of guidelines to consider. You'll disagree with almost all of them. That's fine. I'm going to tell you what works, after having worked on 200+ projects in the past decade, half with catalogers you know. Contact Rhythm: If your annual repurchase rate is more than 35% and your organic percentage is around 50%, then an approximate once-every-three-weeks rhythm tends to be reasonable. Low repurchase rate brands need fewer contacts that cater to seasonal peaks. High organic percentage brands need fewer contacts because email is typically responsible for 50% of sales. Larger Catalogs: You'll typically see a quarterly catalog with many pages, featuring a large portion of the merchandise assortment. These larger mailings happen at the start of a merchandising season (February, May, September, November). These mailings are not circulated deep, and for good reason. Larger mailings with many pages contain increasingly unproductive merchandise. Marginal segments become unprofitable segments as pages increase, so only circulate the larger page count mailings to the best segments. Prospect Catalogs: Paired with the larger quarterly catalogs are smaller Prospect Catalogs. These catalogs have small page counts - and only feature WINNING merchandise presented via WINNING creative. That's it. There is no room for branding, no room for "making a statement", and there is no room for untested new items. Just the best. Tell the customer everything exists online. Prospect Catalogs typically generate 90% to 95% of the demand on half (or less) of the pages in the Larger Catalog, enabling co-op lists to continue to work. Support Catalogs: A dozen or so catalogs with targeted merchandise assortments. In a Mens/Womens/Kids/Home framework, you might have 3 Mens / 6 Womens / 4 Kids / 4 Home catalogs - small page counts - only mailed to customers who have previously purchased or are highly likely to buy the merchandise featured in the mailing. Or, you have a dozen catalogs - each with a different "emphasis" - paginating Mens or Womens or Kids or Home at the front of the catalog. But again, page counts have to be down. There is no room in the future of cataloging for a monthly 180 page mailing - too expensive - and everything is already available online. Dynamic Mailings: Only the very largest catalogers will dynamically merchandise pages via a plug-and-play strategy. One of the few competitive advantages catalogs have left is the ability to tell a story - and you cannot tell a compelling story via plug-and-play merchandising (i.e. mass merchandise personalization). 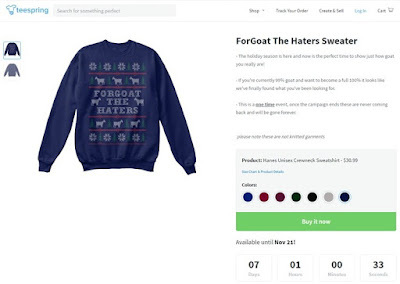 Email is a much cheaper and more efficient place to execute mass merchandise personalization. 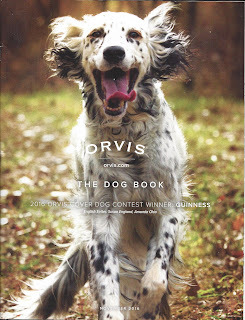 Stories: Look at the Orvis cover above - a whole catalog about dogs. Catalogs allow you to tell a story. Way, way, way too few catalogers are telling stories. Go look at a Lands' End catalog from 1991 for examples - or an old J. Peterman catalog. Phone Buyers: These old-school customers get the majority of mailings, simply because the customer is pre-disposed to shop from catalogs. There aren't many of these customers left. Desktop / Laptop Buyers: They're going to buy online, so why keep pummeling them with catalogs? Stop it! The typical Desktop / Laptop buyer receives between 3-9 mailings per year. Use email as the primary communication vehicle. Outside of twelve months of recency, it's 1-2 mailings per year, tops. If the lapsed customer visits the website or clicks through an email campaign, immediately send a hotline mailing. In fact, the future of catalog mailings is triggered hotline mailings. Nobody is talking about this because the whole discipline of catalog marketing changes when you realize that you trigger mailings only to those who are most likely to buy something right now. Trigger the highly productive prospect mailings to maximize response. Mobile / Social Buyers: Catalogs are nearly irrelevant to this audience. 1-3 per year for the 0-12 month file, only triggered mailings based on website visits or app use or an email click for everybody else. Again, catalogs are nearly irrelevant to this audience. Measure your organic percentage among mobile/social buyers, and you'll see what I am talking about. Trigger the highly productive prospect mailings to maximize response. Cost Savings: The catalog marketing budget is going to decrease by 5% per year, +/-, as pages decrease and contacts to online / mobile / social buyers eventually evolve to trigger-only tactics. The cost savings are funneled into online activities or other offline advertising programs - these activities are designed to generate awareness that makes it easier to acquire new customers at a low cost. Subscribe to enough email programs, and you are utterly pummeled by percentage off offers. That's what those of us who are responsible for generating sales and profit feel like we have to do. "personalized, relevant, and engaging". That's what folks who sell products and services to us want us to do. So the "right" answer might be somewhere in-between what we have to do to generate sales and what our partners want us to do (and, of course, what our customers want us to do). Think of your email contact strategy this way. You start your "week" (not necessarily on Sunday/Monday either ... your "week" might begin on Wednesday or Thursday) with your weekly theme/story. The theme/story isn't about discounting, it's about your point of view for the week. The next email in the "week" has new merchandise that supports the point of view for the week. We all need to find ways to promote new merchandise. One way is to feature the new items that align with the weekly story. 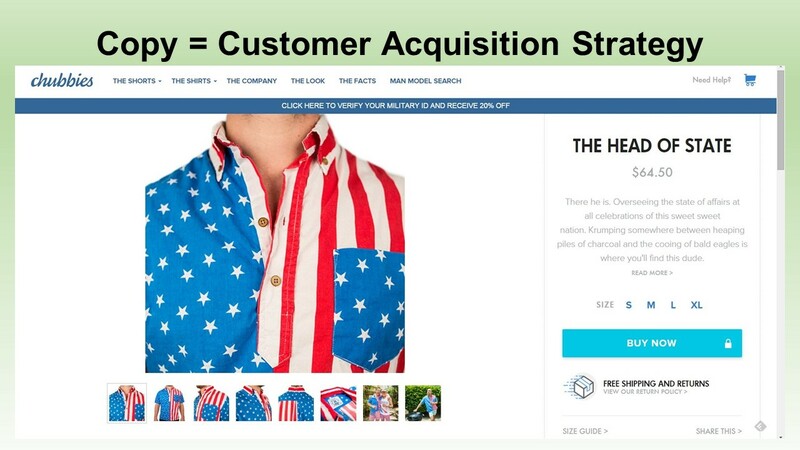 The third/fourth emails are "plug-and-play" emails ... each customer receives a personalized merchandise assortment based on prior purchase behavior. These campaigns are designed to maximize sales. We all know that personalized content performs 15% to 50% better than a standard bland message, so let's take advantage of this fact. If you love discounts and promotions, then use the fifth email of the week to communicate your pricing story. New Merchandise Supporting The Story. Personalized Merchandise Supporting The Story. This shifts the focus away from discounts/promotions on a daily basis. Friday = New Merchandise Supporting The Story. Monday = Personalized Merchandise Assortment Supporting The Story. Tuesday = Personalized Merchandise Assortment Supporting The Story. Unlike a lot of things I talk about, I don't have proof that this is the "right" thing to do. This is my opinion. I believe we need to "take back" email marketing from the discounters and promoters. And how much effort would it take to test idea for two weeks? Our topic today is catalog marketing. Over the past three years, performance has declined by +/- 20% for many ... some have seen increases ... but the overall trend is not good. But catalogers can help change the dynamic. You wanted actionable findings? Then try this. Let's say you mail a 96 page catalog that costs $0.55. You have a co-op segment that you like to mail. 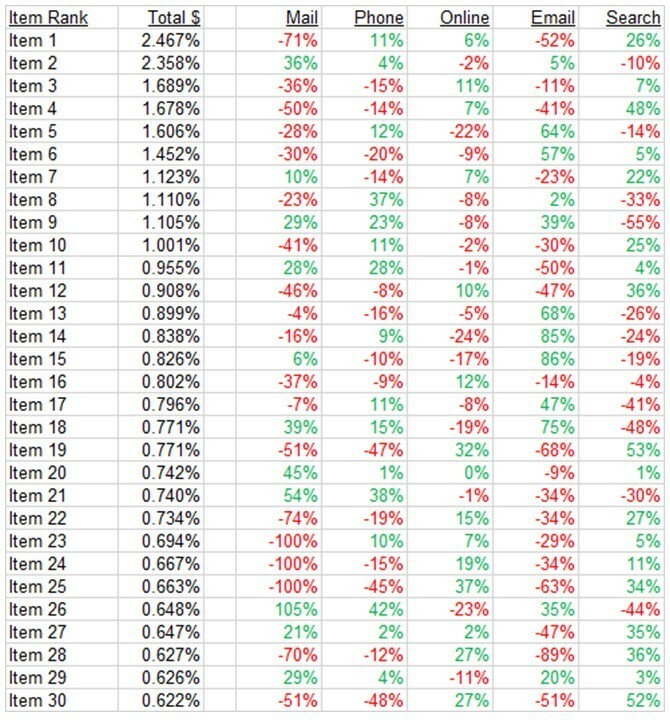 Three years ago, here's what performance looked like. Average Order Value = $120. Demand per Book = 0.012 * 120 = $1.44. Cost Per Book = $0.55. Profit = $1.44 * 0.40 - $0.55 = $0.03. Profit per Order = 0.03 / 0.012 = $2.50. You were happy with that. Demand per Book = 0.0096 * 120 = $1.15. Profit = $1.15 * 0.40 - $0.55 = ($0.09). Profit per Order = (0.09) / 0.0096 = ($9.38). Three years ago, we were generating $2.50 profit per order. Today, we are losing $9.38 per order. The co-ops are not going to be able to fix this dynamic. Only you can fix this dynamic (short-term). So get busy fixing it!! Step 1 = Smaller Catalog. Go from 96 pages down to 64, and filter out low-performing items. On average, you'll achieve 81% of the demand on 67% of the pages. Here's what the profit and loss statement looks like. Demand per Book = 0.0078 * 120 = $0.94. Cost Per Book = $0.40. Profit = $0.94 * 0.40 - $0.40 = ($0.02). Profit per Order = (0.02) / 0.0078 = ($2.56). We're closer to where we need to be. Step 2 = 64 page Prospect Catalog - only Winning Creative and Winning Items. This will boost productivity by another 10%, +/- ... and the story changes. Demand per Book = 0.0086 * 120 = $1.03. Profit = $1.03 * 0.40 - $0.40 = $0.01. Profit per Order = 0.01 / 0.0086 = $1.16. When we generate profit, we can mail this segment and other segments that we could not mail otherwise. This adds new customers ... and new customers protect the future of your business. Co-op performance is not going to improve. And the changes are EASY ... how hard is it to create a prospect version of the catalog only merchandised with winning creative and winning items? This is what catalogers LOVE doing. So just do it ... help your co-op partners out and they win and you win (which means your printers win and your paper rep wins). So go do it, right now! !